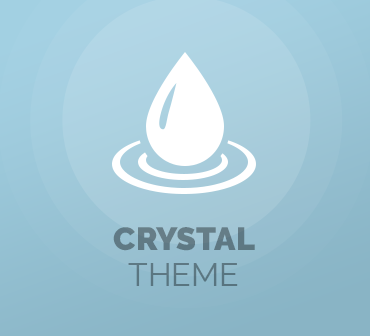 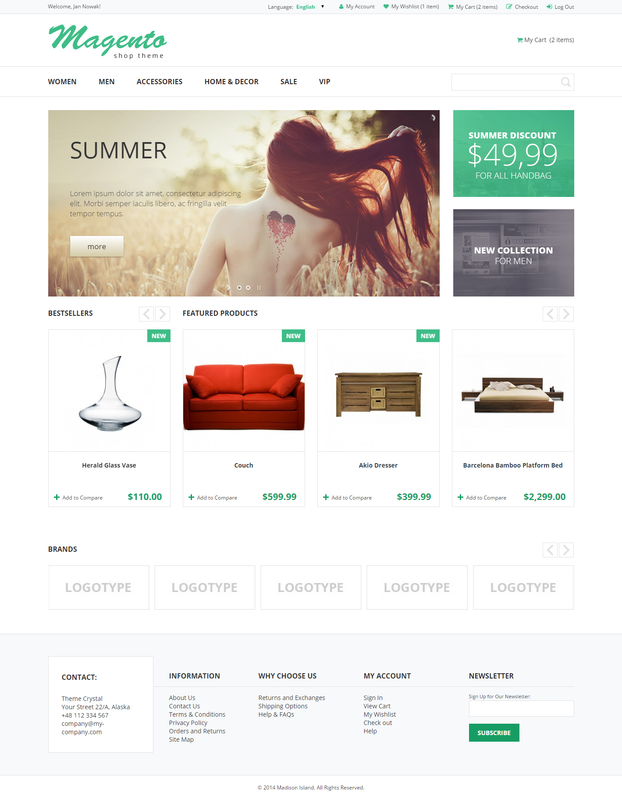 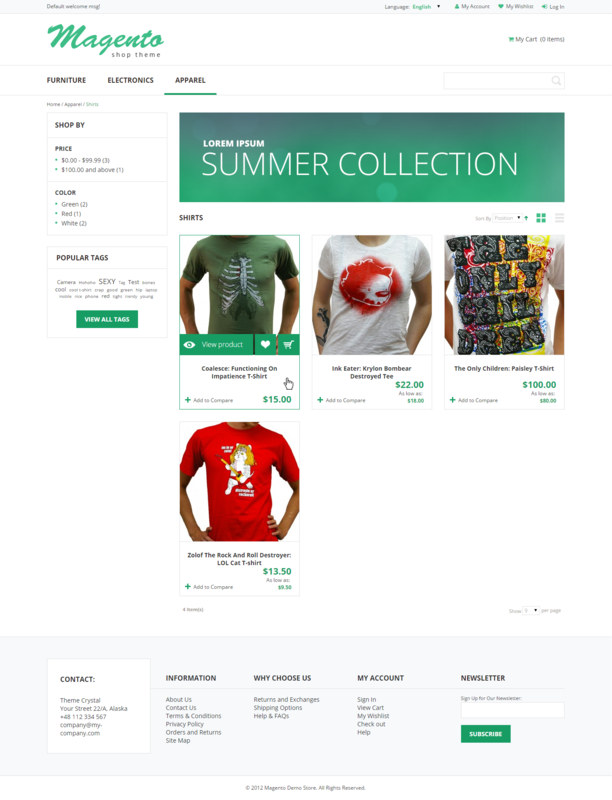 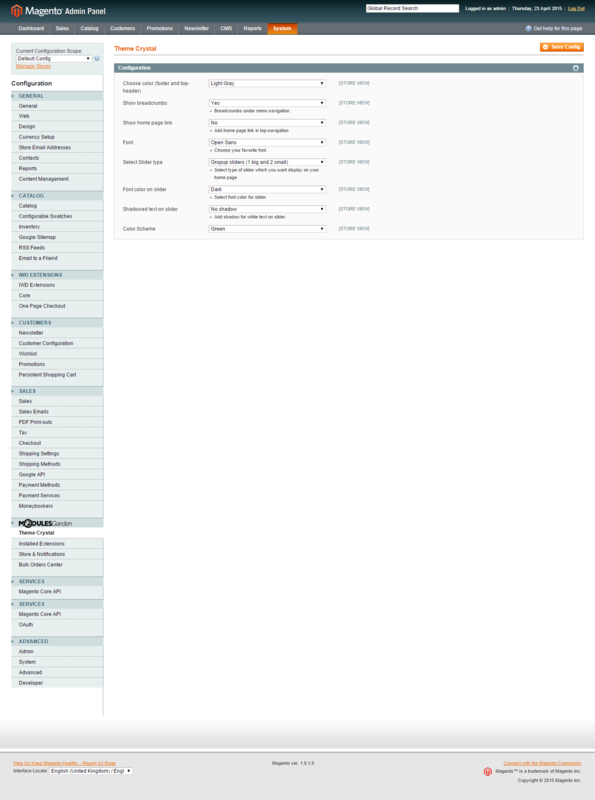 Crystal - Theme For Magento is a responsive skin intended to bring the breath of fresh air to your online store. 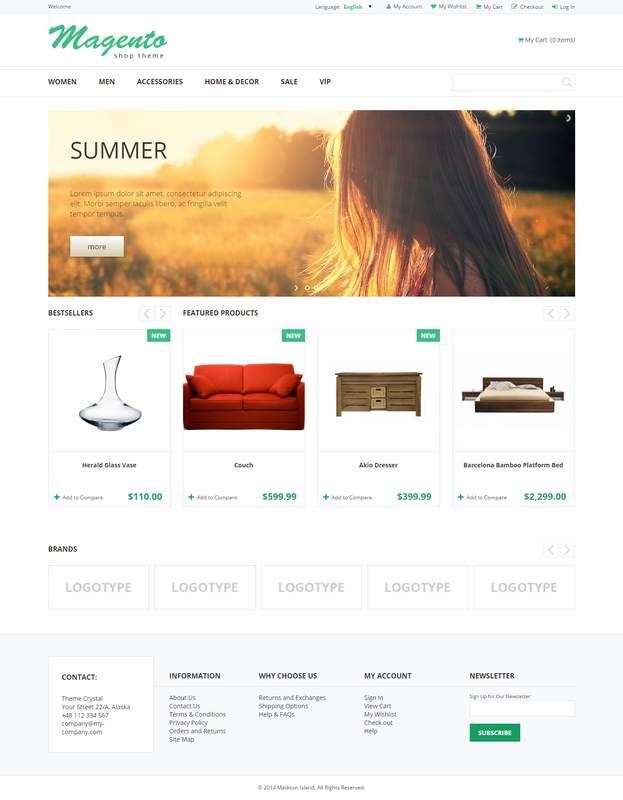 Its exceptionality follows from the neat combination of simple graphic design, splendid slider and bright colors scheme, which as a whole will instantly capture the attention of all prospective clients. 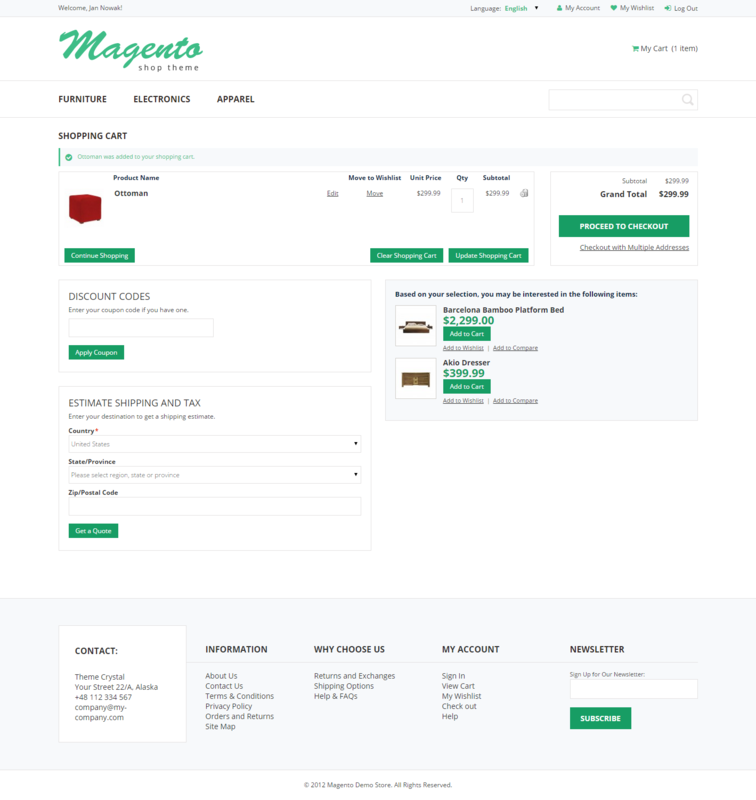 Refresh the appearance of your eCommerce platform with our Crystal - Theme For Magento! 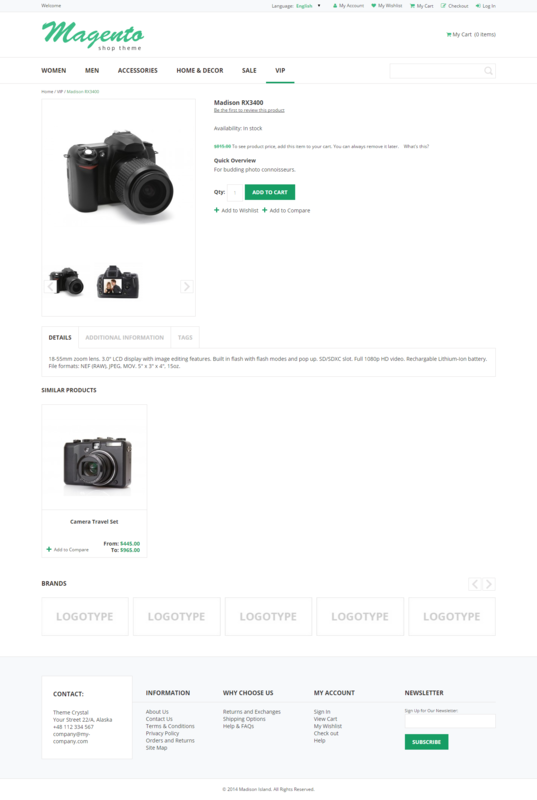 You can do it absolutely for free in merely a few clicks: download the package from our website, upload it on your server and activate!